Back in 1763 America was a very different place. The French and Indian war is finally over and there is reason to celebrate. Unfortunately the powers that be in England need funds to pay for the expenses of the war and they decide that they are going to tax their American colonists to raise the money that they need. The Americans are "outraged" when they hear about the taxes. When they can they stop buying the goods that are taxed, doing without or making what they need themselves. They also voice their concerns and anger in speeches, in flyers, and in newspapers. Mistakenly the English crown thinks that it will be able to wear the colonists down, to browbeat them into submitting. They threatened the Americans sending ships full of redcoated soldiers to Boston and other coastal cities and yet the Americans still refuse to comply. Quite the contrary; they fight back even harder and start demanding the right to govern themselves. In 1770 blood is shed on a street in Boston, and in 1773 hundreds of pounds of tea are dumped into Boston harbour by American patriots. There can be no doubt that war is now inevitable and over the next ten years or so battles flare across the American countryside. At times the Patriot or Rebel soldiers find themselves in conflict with Loyalist Americans as well having to fight the hated English redcoat soldiers. It is a trying time to be sure, but it is also a time of empowerment and the fight becomes one which is an inspiration to men and women all over the world for years to come. 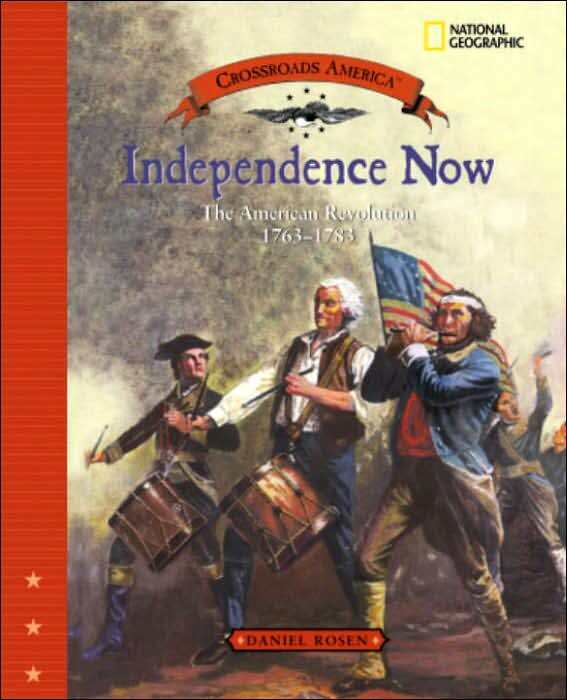 Full of beautifully reproduced paintings, illustrations, and maps, this account of the American Revolution is clear, well told, and full of interesting details about the times and the key players who were involved in the conflict.